TOKYO (Reuters) - Mitsubishi Heavy Industries (Tokyo:7011.T - News) is arranging 220 billion yen ($2 billion) in financial support for its aircraft unit, which has struggled to deliver its first passenger plane, national broadcaster NHK reported on Tuesday. 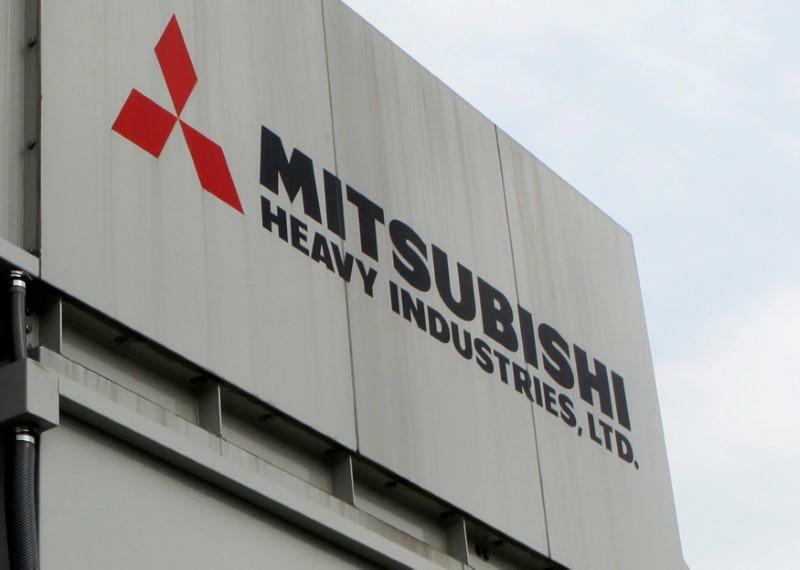 Mitsubishi Heavy said in a statement that it was considering ways to resolve excess liabilities at the unit, but added it had not yet made any decisions. Mitsubishi's regional jet program, Japan's first passenger plane since the 1960s, has been delayed by several years, with first customer ANA Holdings Inc (Tokyo:9202.T - News) now expecting its delivery in 2020 rather than 2013 as originally planned. The 90-seat MRJ was long seen as Japan's great hope to revive a dormant commercial aviation industry. Japan was banned from manufacturing aircraft for nearly a decade after World War Two. According to NHK, Mitsubishi's aircraft unit will issue shares worth 170 billion yen as part of a debt-to-equity swap, while Mitsubishi Heavy will forgive 50 billion yen of debt. The aircraft unit's debts exceeded assets by about 100 billion yen at the end of March, the broadcaster also said. Mitsubishi Heavy CEO Shunichi Miyanaga told a press conference in May that the company would increase Mitsubishi Aircraft's capitalization this fiscal year "to enable it to emerge from insolvency". Analysts said there were still questions over whether the jet project could deliver. "This support will, of course, improve Mitsubishi Aircraft's balance sheet. But that doesn't necessarily mean the same thing as accelerating the jet's development," said Kentaro Maekawa, a senior analyst of Nomura Securities. The news comes on the heels of Canada's Bombardier Inc's (BBDb.TO) decision to sue Mitsubishi's aircraft unit, saying former Bombardier employees passed on trade secrets to help Mitsubishi's jet project. Mitsubishi Heavy's shares were down 2.7 percent in afternoon trade, slightly underperforming the broader market. Mitsubishi Aircraft Corp is 64 percent-owned by Mitsubishi Heavy Industries (Tokyo:7011.T - News), with Toyota Motor Corp (Tokyo:7203.T - News) and Mitsubishi Corp (Tokyo:8058.T - News) each holding a 10 percent stake. Other shareholders include state-owned Development Bank of Japan, Sumitomo Corp (Tokyo:8053.T - News) and Mitsui & Co (Tokyo:8031.T - News).